JB Communications Group is a network of talented, skilled and experienced designers, programmers, writers, printers, and media experts led by Jackie Brown. These creatives and geeks have years of experience and shelves of awards to prove just how awesome their marketing and advertising chops are. We all share a love for helping credit unions and community banks get their message heard. Let Jackie cherry pick this talent and expertise to match up with your business style, marketing needs, and budget. Credit unions and community banks can especially benefit from the 15-plus years of experience Jackie has dealing with compliance and regulatory issues in the financial industry. Understanding the unique needs of credit unions and small banks, Jackie can quickly get up to speed with your financial institution’s opportunities and challenges, including complementary services such as insurance and brokerage services. Just who is this Jackie Brown? Jackie began her marketing and advertising career as a graphic designer. After spending the first 10 years of her career working in small marketing agencies and large corporations such as Xerox, Sony Music and Service Merchandise, she spent eight years honing her business skills managing Redstone Federal Credit Union’s Creative Services Group. RFCU is Alabama’s largest credit union and one of the top 30 in the United States. Moving back to the agency side, Jackie joined Hy Creative to manage projects and accounts. While there she discovered how meaningful it is to partner with small and medium businesses to develop their own marketing messages as they grow their customer base. Their enthusiasm fired her up and gave life to the marketing materials developed under her guidance. Passion for making marketing and advertising accessible to all sizes of businesses led her to begin her own communications group. 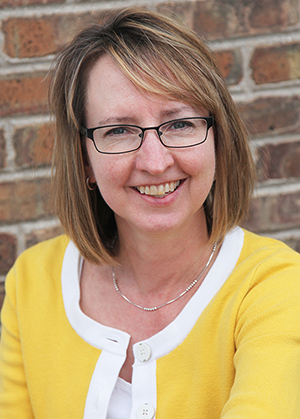 With JB Communications Group, Jackie enjoys working with credit unions and community banks to get their messages heard through marketing communications and advertising. She’s the one you’ll be connecting with as she learns your business and goals. She will then plan and oversee gathering the right talent, design, and production for your projects. Jackie loves working as Creative Director and Project Manager, not so much as accountant. She leaves that to the professionals. As a way to give back to others, Jackie enjoys using her talents and skills to serve those who serve the community. She sits on the Board of Directors for The Arc of Madison County and volunteers for many other organizations such as Meals on Wheels. JB Communications Group is a proud member of The Greater Limestone County Chamber of Commerce, North Alabama Chapter of the Public Relations Council of Alabama and the North Alabama Chapter of the American Advertising Federation.